Rule #1: do not bleed on the quilt! So what do you do when you’re a rule breaker? When removing blood stains use your own saliva….i know, i know! It is a little gross, but the enzymes in your saliva can best break down your own blood. If that is out of the question..try dabbing hydrogen peroxide. You can use a q-tip for either method. Want to know the other rules? #2: Measure twice, cut once. #4: There are NO Quilt Police. #5: Rules? There are Rules? This week I am finishing up a pair of twin quilts and just need to get some pics! Coordinating teal and orange backings with some striped binding. Just love a stripe on the binding:) You? Also finished up this months blocks for the Craftsy 2012 Block of the Month that my guild is doing. This months theme is string blocks, loved these! Two different techniques were used. Great for scraps. 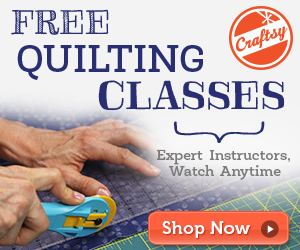 You can take this free Craftsy Class by clicking the link or pic below! The class includes free video lessons of each months block and you can watch them over and over if you like! 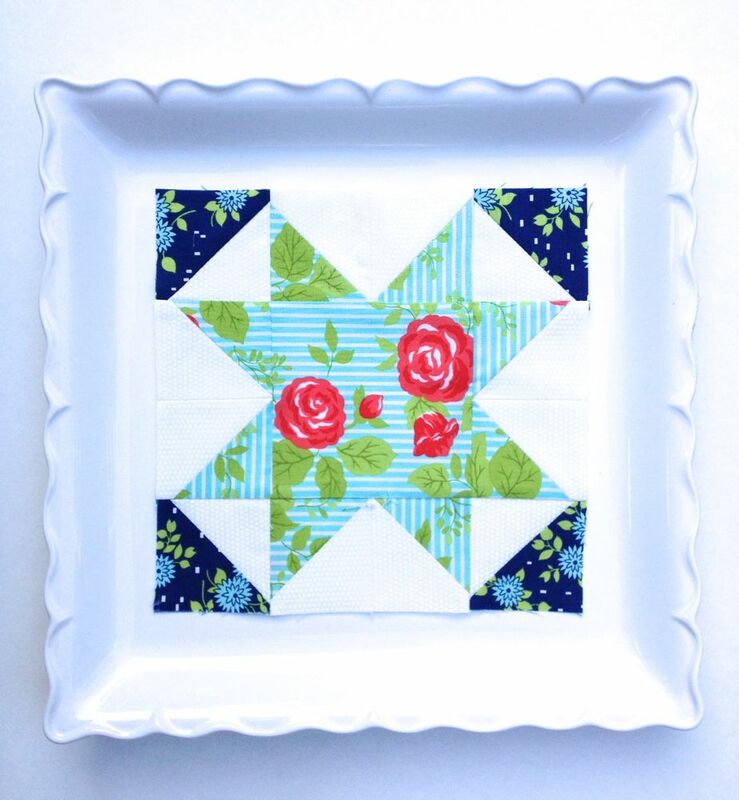 Winner- Millstone Giveaway and a QuiltingTip! 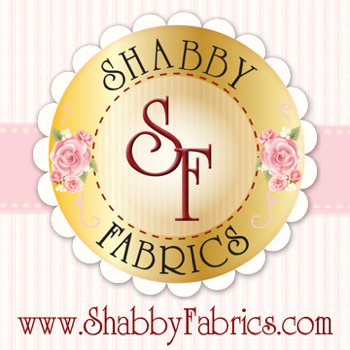 She will be getting a charm pack and Aurifil 10-piece, thread set. 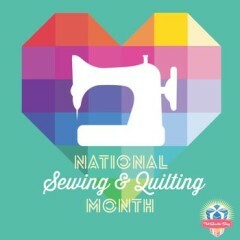 A big thanks to Millstone Quilts for sharing all the quilting goodies! 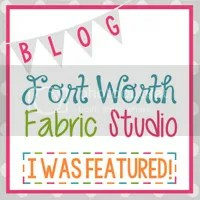 and Aurifil for the thread love! Expect more giveaways here in 2014. For more accurate piecing, use a 1/4″ piecing foot! A lot of machines do not come with this foot and they are pretty inexpensive to add to your quilty tool box. Some have a metal “wall” on one side to keep you from going too far to the right and some just have the accurate 1/4″ width foot. Generic ones are available. You do need to know if your machine has a low shank, high shank or a slant shank. This is the bar where your feet attach. Your manual should let you know which one you have. More accurate piecing makes your sewing much more enjoyable. 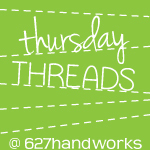 Just remember if you are off by only 1/8 of an inch that adds up to an entire 1/2″ (4/8) off every four seams!!! Here are a couple different links where you can purchase one. Quarter Inch foot with bar. Quarter inch foot without bar. Just a side note, but if you are a magazine junkie like me….this is my latest find and it is one of my new favorites, Love Patchwork & Quilting! It isn’t super cheap, mainly because it comes from the UK, but has such a modern and fun take on quilting and the latest fabrics:) Each magazine comes with a small gift too. My first one had a set of heart shaped pins, that made it feel totally worth it! 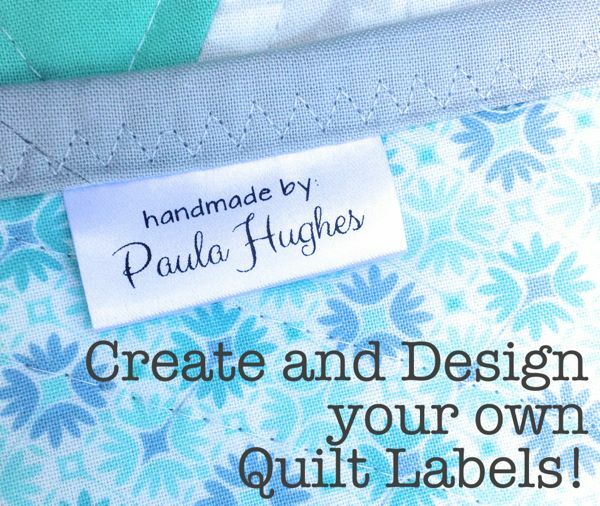 Later this week I will begin my beginner quilting series…So You Wanna Make A Quilt! If one of your pieces is cut slightly bigger, sew with that piece on the bottom. The feed dogs scrunch the fabric slightly and helps use that little bit of extra fabric. 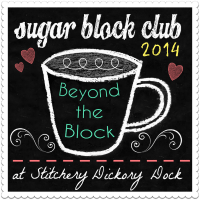 In the quilting world…baggy bottoms are not best, but we will make the best out of them! 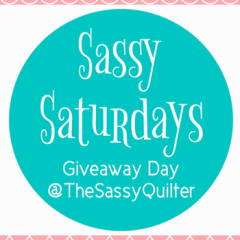 Check out other Sassy Quilting Tips here. Soak your self healing cutting mat in the bathtub every once in a while! Self healing mats like moisture. Fill tub or large container with COOL WATER (not too hot or cold) and add 1/4 cup white vinegar to every gallon. Make sure your mat stays flat and leave in for 15 minutes. 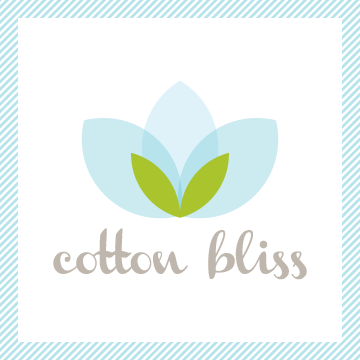 When done, use a mild soap and gently scrub with a soft toothbrush to remove any trapped fibers. Towel dry and lay flat to finish drying. Do not lay outside to dry, direct sunlight will warp your mat also. Keeping your mat soft and supple makes it last longer and doesn’t dull your blades. Remember!!! Your cutting mats NEVER like heat or to be bent. Once they are warped…they are pretty much useless. For added fun check out the ThriftyNinja for over 50 uses for dryer sheets! 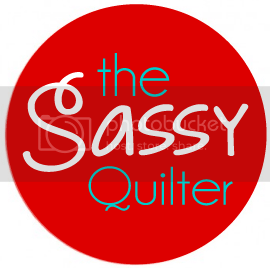 For more quilting tips for the sassy quilter check out my Quilting Tips tab. If you are having trouble threading a needle try it from the other side. One side of the eye is always a little bigger! Make sure to check out the Quilt Parade over at Happy Quilting today, so many gorgeous Star Surrounds! Don’t know what to do with those old sewing needles or pins that need to be tossed, but it just feels wrong(and dangerous) to put in with your other trash??? Why put them in an old prescription bottle or an empty tic-tac box. That seems a little silly to say empty, but I’m gonna go with it!